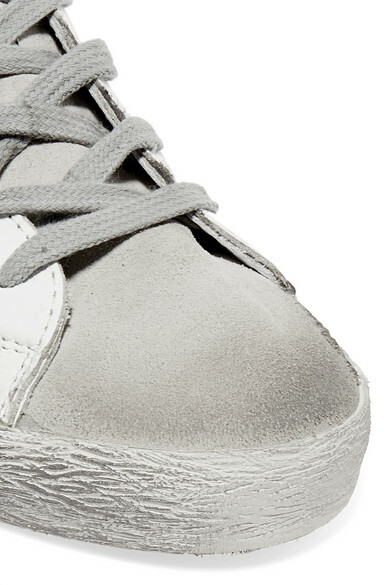 Golden Goose's 'Superstar' sneakers are hand-waxed and scuffed to give them an authentic love-worn look. 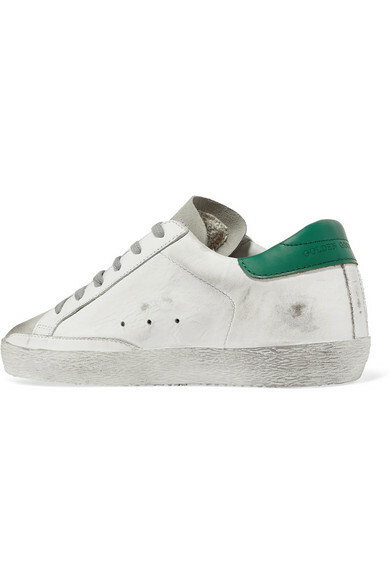 Made in Italy from leather and suede, this white pair is detailed with the label's signature perforated star and contrasting green heel tab. Wear yours with everything from track pants to breezy dresses. 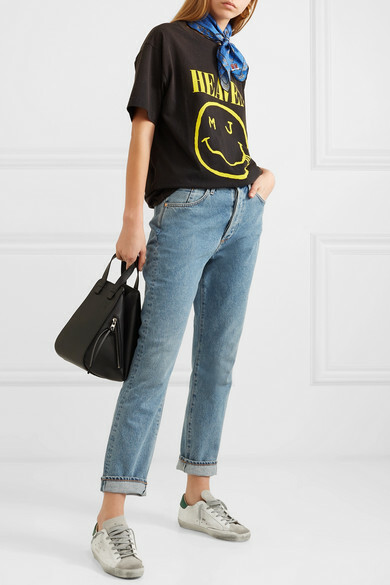 Shown here with: Goldsign Jeans, Marc Jacobs T-shirt, Loewe Shoulder bag, GANNI Scarf.